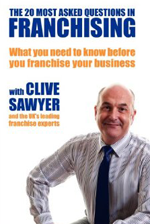 Clive Sawyer, Managing Director of Business Options is a renowned speaker on franchising and other business expansion models. 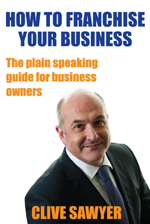 He had authored the 3 books on franchising including the UK best selling franchising book "How to Franchise a Business". Clive explains the various stages in setting up and running a successful franchise business. His no nonsense approach cuts through the sometimes smokes and mirrors secrecy surrounding franchising and offers a warts and all honest appraisal of both the benefits and issues when franchising a business. Since its launch in 2010, this has been the top selling UK franchise book on Amazon. From over 20 years in franchising, Clive has compiled the 20 most frequently asked questions by business owners when considering franchising. 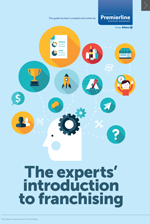 In this easy to read book, Clive has joined forces with 5 other leading names in the world of franchising to provide comprehensive answers to these questions. If you are considering franchising your business, this book will provide the answers to most if not all of the questions you may have. 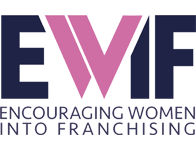 As the founder and Chief Executive of the non for profit organisation, Encouraging Women into Franchising, Clive teamed up with leading inspirational motivational speaker Murielle Maupoint to provide technical and practical advice to women considering buying a franchise. Buying a franchise can be one of the biggest decisions in a person's life and therefore it is important to understand what will be involved in being a franchisee and the impact it will have on your overall life. This book will explain how to decide which franchise will be right for you and the process involved when buying a franchise. All three books can be bought from Amazon or the British Franchise Association Bookstore by clicking on corresponding logo next to the book above. Alternatively for a personally signed copy from Clive Sawyer of any of the books, please click on the Business Options logo next to the corresponding book for your personalised book order form. In the latest article in her series for companies considering franchising their business, Nicola Broadhurst is joined by franchise consultant, Clive Sawyer to shed light on the issues that are likely to face the new franchisor in its second year. 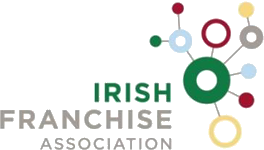 Many people have heard of franchising and this has led to many myths about what franchising actually is and how to go about it. 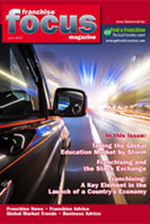 In this issue Clive considers five myths about franchising a business.